Dawsonite: Mineral information, data and localities. Named by B.J. Harrington in 1874 in honor of Sir John William Dawson (13 October 1820, Pictou, Nova Scotia, Canada - 19 November 1899, Montreal, Quebec, Canada), Principal of McGill University and geologist, who first collected the mineral. B : With alkalies, etc. Bladed to acicular crystals forming incrustations and rosettes; tufts of fine needles. Crystals elongated , to 3.5cm. Feldspathic dike cutting Trenton limestone. Chromian Dawsonite A chromium-bearing variety of dawsonite. Fluorite 18 photos of Dawsonite associated with Fluorite on mindat.org. Sodalite 11 photos of Dawsonite associated with Sodalite on mindat.org. Aegirine 10 photos of Dawsonite associated with Aegirine on mindat.org. Calcite 9 photos of Dawsonite associated with Calcite on mindat.org. Fülöppite 8 photos of Dawsonite associated with Fülöppite on mindat.org. Semseyite 8 photos of Dawsonite associated with Semseyite on mindat.org. Quartz 7 photos of Dawsonite associated with Quartz on mindat.org. Catapleiite 7 photos of Dawsonite associated with Catapleiite on mindat.org. Analcime 6 photos of Dawsonite associated with Analcime on mindat.org. Nordstrandite 5 photos of Dawsonite associated with Nordstrandite on mindat.org. Harrington, B.J. (1874) Notes on dawsonite, a new carbonate. The Canadian Naturalist and Quarterly Journal of Science: 7: 305-309. Harrington, B.J. (1878) Note on the composition of dawsonite. The Canadian Naturalist, New series: 10: 84-86. Graham, R.P.D. (1908) Dawsonite: a carbonate of soda and alumina. Transactions of the Royal Society of Canada, Section IV: 165-177. Stevenson, J.S., Stevenson, L.S. (1965) Shorter communications: The petrology of dawsonite at the type locality, Montreal. The Canadian Mineralogist: 8: 249-252 . Mandarino, J.A., Harris, D.C. (1965) New Canadian mineral occurrences: I. Eucryptite, pollucite, rozenite, epsomite, dawsonite, fairchildite and butschliite. The Canadian Mineralogist: 8: 377-381. Frueh, A.J., Golightly, J.P. (1967) The crystal structure of dawsonite NaAl(CO3)(OH)2. Canadian Mineralogist: 8: 51-56. Kwon, S.W., Kim, B.H., Ishikawa, H. (1971) The conditions of formation of dawsonite and its crystal structure. Journal of the Chemical Society of Japan: 74: 2411-2411. Corazza, E., Sabelli, C., Vannucci, S. (1977) Dawsonite: new mineralogical data and structure refinement. Neues Jahrbuch Mineralogie, Monatshefte: 1977: 381-397. Stevenson, J.S., Stevenson, L.S. (1977) Dawsonite-fluorite relationships at Montreal-area localities. The Canadian Mineralogist: 15: 117-120. Stevenson, J.S., Stevenson, L.S. (1978) Contrasting dawsonite occurrences from Mont St-Bruno, Quebec. The Canadian Mineralogist: 16: 471-474. Serna, C.J., García-Ramos, J.V., Peña, M.J. (1985) Vibrational study of dawsonite type compounds MAl(OH)2CO3 (M = Na, K, NH4). Spectrochimica Acta: 41A: 697-702. Chinh, L.T., Pobedimskaya, E.A., Khomyakov, A.P. (1987) Crystal structure of dawsonite, NaAl(CO3)(OH)2 and its first discovery in the Khibiny alkaline massiv. Vestnik Moskovskogo Universiteta, Geologiya: 42: 74-77. Ferrini, V., Martarelli, L., De Vito, C., Çina, A., Deda, T. (2003) The Koman dawsonite and realgar-orpiment deposit, northern Albania: inferences on processes of formation. The Canadian Mineralogist: 41: 413-427. Frost, R.L., Bouzaid, J.M. (2007) Raman spectroscopy of dawsonite NaAl(CO3)(OH)2. Journal of Raman Spectroscopy: 38: 873-879. Lodziana, Z., Stoica, G., Pérez-Ramírez, J. (2011) Reevaluation of the structure and fundamental physical properties of dawsonites by DFT studies. Inorganic Chemistry: 50: 2590-2598. Comerio, M., Morosi, M.E., Tunik, M., Paredes, J.M., Zalba, P.E. (2014) The role of telogenetic injection of magmatically derived CO2 in the formation of dawsonite from the Castillo Formation, Chubut Group, Patagonia, Argentina. The Canadian Mineralogist: 52: 513-531. 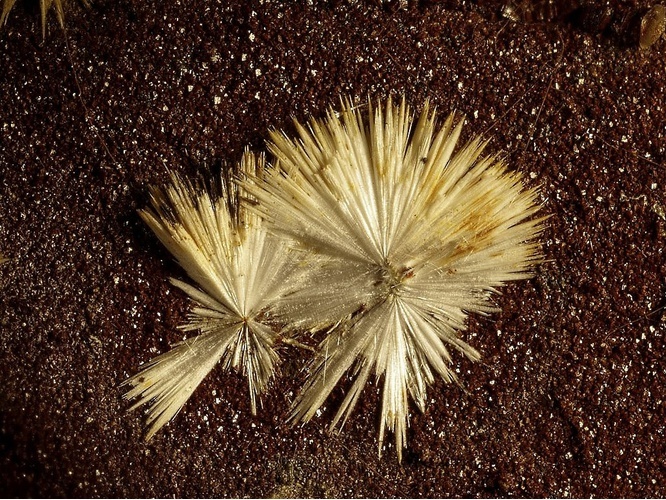 The following Dawsonite specimens are currently listed for sale on minfind.com. Palache, C., Berman, H., & Frondel, C. (1951), The System of Mineralogy of James Dwight Dana and Edward Salisbury Dana, Yale University 1837-1892, Volume II: 277. Sabina (1986) Geol. Survey of Canada, Misc. Report 39, 11-14. Thomas, R., Davidson, P., Schmidt, C. (2011): Extreme alkali bicarbonate- and carbonate-rich fluid inclusions in granite pegmatite from the Precambrian Ronne granite, Bornholm Island, Denmark. Contributions to Mineralogy and Petrology 161, 315-329. Baksa, C.; Bognar, L.; Lovas, G. (1975): Occurrence of dawsonite at Recsk, Matra Mountains, northwest Hungary. Acta Geologica Academiae Scientiarum Hungaricae 19(3-4), 281-6. Di Domenico D.,Vinci F. (2011) Dawsonite di Canale Monterano,Manziana,Roma.Micro,numero 2,volume 2011. Di Domenico, D., Vinci, F. (2011): Dawsonite di Canale Monterano, Manziana, Roma. Micro 02/2011, 54-57. Ciampalini, A., Sammartino, F. (2010) I minerali della scogliera di Antignano. Codice Armonico 2010. Terzo congresso di scienze naturali. Ambiente toscano, 47-56. Malesani P. Vannucci S. - Su una nuova varieta di dawsonite ritrovata nella Valle Benedetta (Livorno). Periodico di Mineralogia - Vol. 43 - pp. 655-662. Coveney, R. M. and Kelly, W. C. (1971) Dawsonite as a daughter mineral in hydrothermal fluid inclusions, Contribution to Mineralogy and Petrology, v. 32, p. 334-342. Zvezdinskaya L.V., Shtanov V.I. (1995) Composition of dawsonite and its thermal decomposition process, - DAN, 344(6), p.798-800 (in Rus.). Kirnarskiy, Yu.M., Kozyreva, L.V. [Кирнарский, Ю.М., Козырева, Л.В.] (1974): On the carbonate veins in rocks of the Khibiny alkaline massif [О карбонатных жилах в породах Хибинского щелочного массива]. In: Minerals and parageneses of minerals of magmatic and metasomatic rocks [Минералы и парагенезисы минералов магматических и метасоматических горных пород]. Nauka, Leningrad, pages 196-202 (in Russian); Dudkin, O.B., Minakov, F.V. [Дудкин, О.Б., Минаков, Ф.В.] (1976): A new type of carbonate mineralisation in foyaites of the Khibiny massif [Новый тип карбонатной минерализации в фойяитах Хибинского массива]. In: Materials on the mineralogy and geochemistry of alkaline rocks of the Kola peninsula [Материалы по минералогии и геохимии щелочных пород Кольского полуострова]. Kola Branch, USSR Academy of Science Press [Издательство Кольского филиала АН СССР], Apatity, pages 159-174 (in Russian); Kozyreva, L.V., Zorina, M.L., Romanova, T.S. [Козырева, Л.В., Зорина, М.Л., Романова, Т.С.] (1976): A find of cryolite and dawsonite in the Khibiny massif [Находка криолита и давсонит в Хибинском массиве]. In: Minerals and parageneses of minerals of rocks [Минералы и парагенезисы минералов горных пород]. Nauka [Наука], Leningrad, pages 67-70 (in Russian); Kostyleva-Labuntsova, E.E., Borutskiy, B.E., Sokolova, M.N., Shlyukova, Z.V., Dorfman, M.D., Dudkin, O.B., Kozyreva, L.V., Ikorskiy, S.V. [Костылева-Лабунцова, Е.Е., Боруцкий, Б.Е., Соколова, М.Н., Шлюкова, З.В., Дорфман, М.Д., Дудкин, О.Б., Козырева, Л.В., Икорский, С.В.] (1978): Mineralogy of the Khibiny massif [Минералогия Хибинского массива]. Volume 1: Magmatism and post-magmatic transformations [Магматизм и постмагматические преобразования]. Nauka, Moscow, Москва, 227 pp. ; Volume 2: Minerals [Минералы]. Nauka, Moscow, 585 pp. (in Russian); Chinh, T.L.T., Pobedimskaya, E.A., Khomyakov, A.P. [Чинь, Т.Л.Т., Победимская Е.А., Хомяков А.П.] (1987) Crystal structure of dawsonite NaAl(CO3)(OH)2 and its first discovery in the Khibiny alkaline massif [О кристаллической структуре давсонита NaAl(CO3)(OH)2 и его первых находках в Хибинском щелочном массиве]. Vestnik Moskovskogo Universiteta [Вестник Московского университета], Series 4, Geology, 42, 74-77 (in Russian); Khomyakov, A.P. 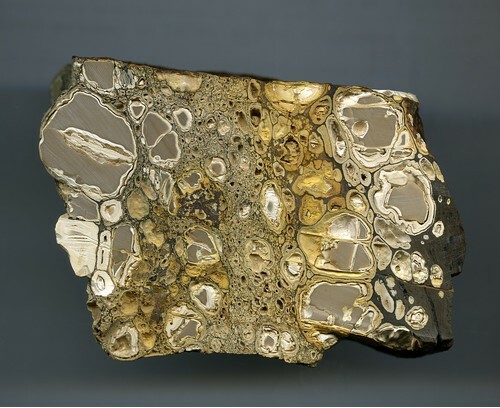 (1995): Mineralogy of hyperagpaitic alkaline rocks. Clarendon Press, Oxford, 223 pp. ; Zaitsev, A.N. (1996): Rhombohedral carbonates from carbonatites of the Khibina massif, Kola Peninsula, Russia. 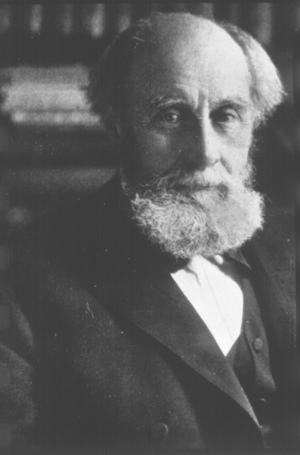 Canadian Mineralogist, 34, 453-468; Pekov, I.V., Chukanov, N.V., Belovitskaya, Yu.V. [Пеков, И.В., Чуканов, Н.В., Беловицкая, Ю.В.] (1998): Khanneshite and petersenite-(Ce) from Khibiny [Ханнешит и петерсенит-(Ce) из Хибин]. Zapiski Vserossiiskogo Mineralogicheskogo Obshchestva [Записки Всероссийского Минералогического Общества], 127, 2, 92-100; Yakovenchuk, V.N., Ivanyuk, G.Yu., Pakhomovsky, Ya.A., Men'shikov, Yu.P. (2005): Khibiny. Laplandia Minerals Ltd. (in association with the Mineralogical Society of Great Britain and Ireland), Apatity, 468 pp. Belous, I. R., Kirikilitsa, S. I., Levenshteyn, M. L., Rodina, E. K., & Florinskaya, V. N. (1984). Occurrences of mercury in northwestern Donbass salt domes. International Geology Review, 26(5), 573-582. Bailey, Gilbert E. (1902), The saline deposits of California: California Mining Bureau Bulletin 24: 102; Murdoch, Joseph & Robert W. Webb (1966), Minerals of California, Centennial Volume (1866-1966): California Division Mines & Geology Bulletin 189: 167. Dunning, G. E. (2000): Chromian dawsonite and chromian alumohydrocalcite from Orestimba Creek, Stanislaus County, California. 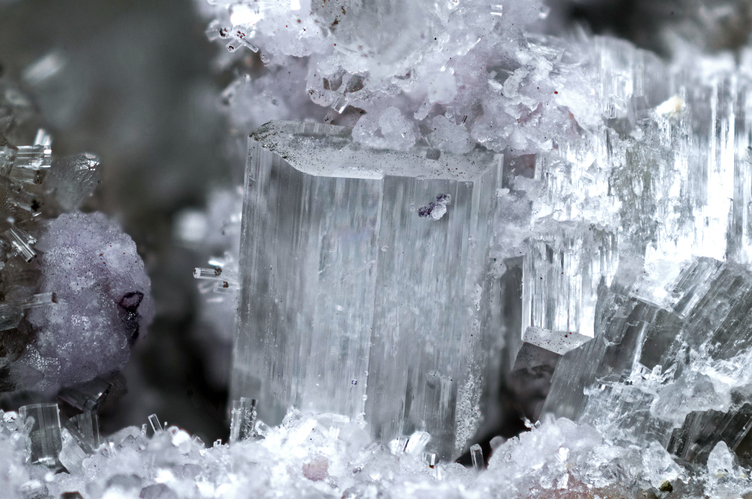 Mineralogical Record 31, 333-338. American Mineralogist (2003): 88: 1055.